The sound is one of the best places to go to spot marine life on Hilton Head Island. You’re almost guaranteed a few dolphin sightings while paddling, and if you’re lucky, one may swim right up next to you, as they’re known to do every once in a while. Calibogue Sound is one of the larger waterways adjacent to Hilton Head Island. The sound separates Hilton Head from Daufuskie Island, and feeds basically every main creek that runs through the island. 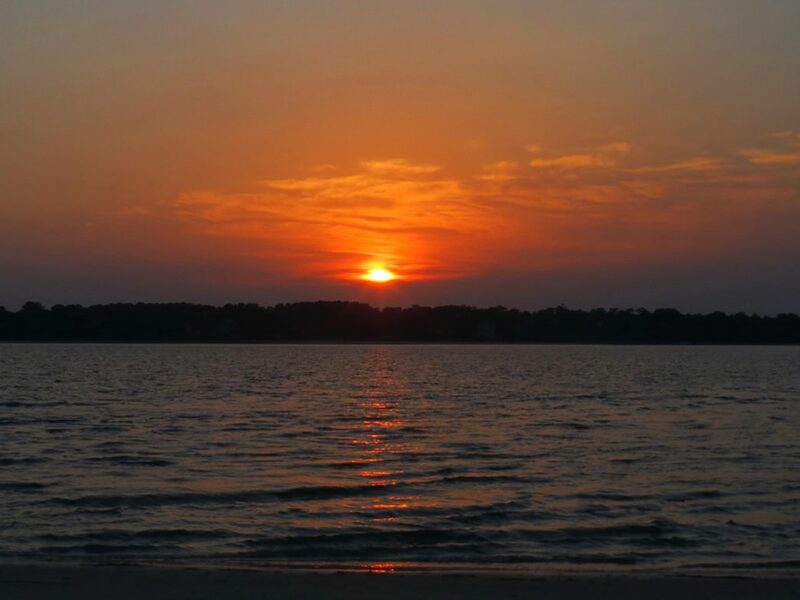 The sound is a large, open body of water that lies on the southern end of Hilton Head and provides access to Jarvis Creek, May River, Skull Creek, and Broad Creek. The Sound is one of the best places to go to spot marine life on Hilton Head Island. You’re almost guaranteed a few dolphin sightings while paddling, and if you’re lucky, one may swim right up next to you, as they’re known to do every once in a while. If you’ve never had a close encounter with a dolphin, it's quite interesting. Atlantic dolphins are about 9 feet long, and massive, especially when you’re 1 foot away from them in a very small boat. Just remember they are friendly, and will not bother you if you do not bother them. Fishing in the sound is also a favorite among locals. This is great news for paddlers, having a multitude of tide charts, fishing reports, and weather warnings easily accessible. Keep in mind that the Calibogue Sound is huge, and unless you’re an experienced paddler, or in the company of one, do not cross the sound, rather stay close to shore. If you’re comfortable paddling against the tide and going long distance, just remember to have your personal floatation device close, and a way to get in touch with the Coast Guard, or other passing boats in case of the worst case scenario. Kayakers and fishers are the most prevalent enthusiasts on the Calibogue Sound. If you have a lot of experience paddling along the coast, the sound is going to be way more enjoyable for you. It’s important to be well schooled in tidal conditions, and have an extensive knowledge of paddling safety protocol if you’re going to take on the Sound, otherwise you’re in for a rude awakening. Daytrippers make Daufuskie Island their destination when launching out of Hilton Head. Remember to bring plenty of food and water, and do not skimp out on sun protection. From Sea Pines Drive on Hilton Head, head south until you reach South Beach Marina. This is the best drop in location for kayakers. From South Beach Marina it is a straight shot across the sound to Daufuskie Island. If you do not have a PFD or safety gear with you, the odds of you getting a ticket from beach patrol or the Coast Guard are very high. If fishing, remember to grab a fishing license beforehand.